British Science Week is an annual ten-day event, now in its 24th year, celebrating science, technology, engineering and maths. 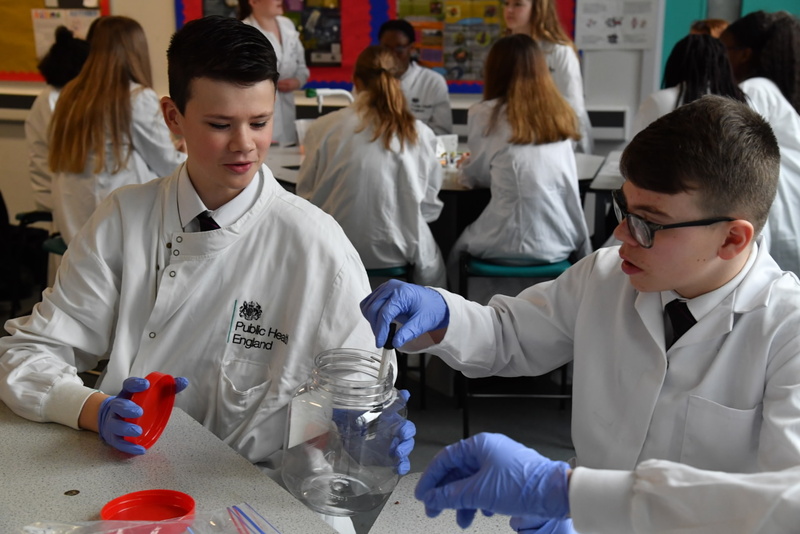 Throughout this year’s science week, 25 PHE scientists have visited 10 schools across England to hold interactive science workshops for 1,800 year 9 students. 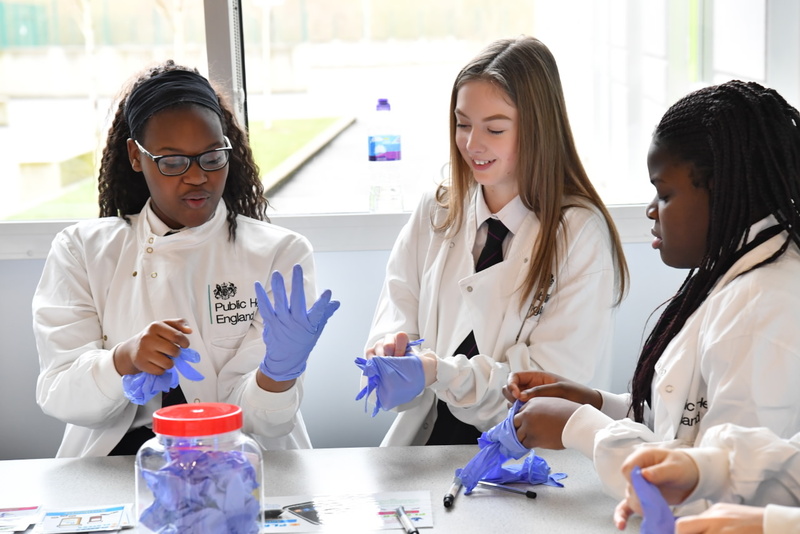 During the week, scientists specialising in a range of disciplines including toxicology, microbiology, environmental public health, microscopy, vaccine research and epidemiology travelled to high schools armed with an array of experiments and demonstrations. The aim of the week was to inspire the next generation of young scientists, showcase the many different routes into a career in science as well as a chance for PHE to learn about what young people think of science. From extracting DNA from their own cells using everyday household items, to seeing how dirty pupils’ hands really are through ultraviolet light, the workshops allowed for sleeves to be rolled up and lots of practical work to be done, showing how different the day-to-day working life of scientists can be. The PHE day was engaging and exciting for all students. Each workshop had a real life theme that students could relate to and this fostered and retained their engagement throughout the day. 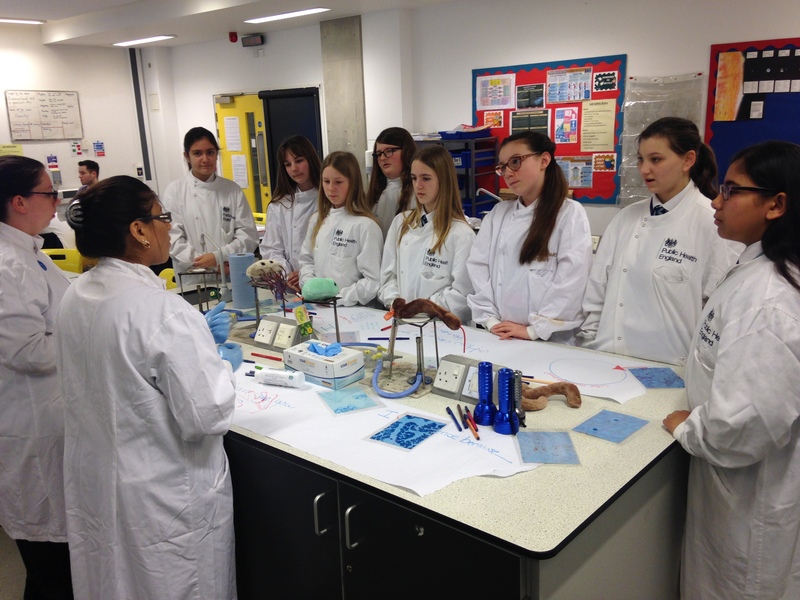 The scientists created a positive and relaxed yet work orientated atmosphere and the students were extremely excited to meet some real life scientists! 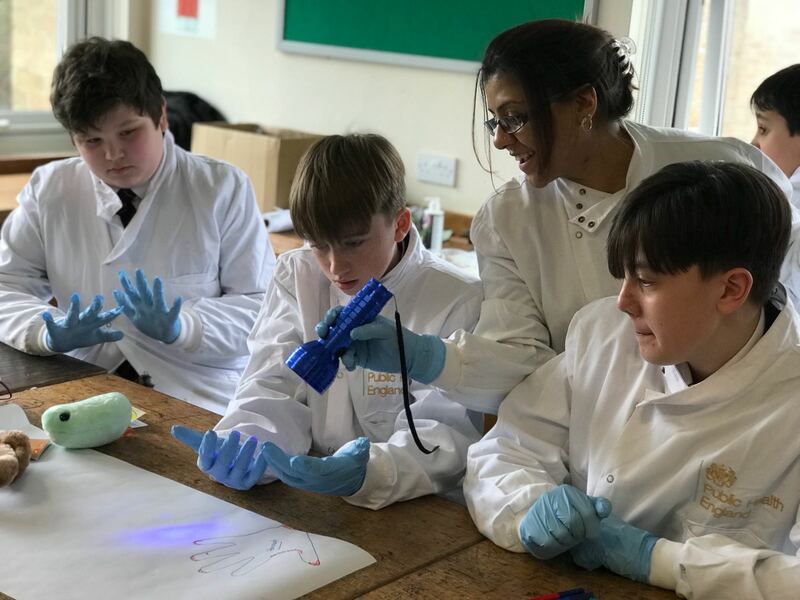 Binta Hanakuka, a Healthcare Scientist Assistant in the Food, Water and Environmental Microbiology Laboratory at Public Health England, talks about why she took part in science week and why working with young people is so important. Young people are our future and we need to invest in them. When students make their GCSE options, they are making a big choice that can shape their future. Looking back to this time of my life, I can recall being unsure about my choices as I had a great interest in Science, but was also very passionate about physical education, and drama. Activities and opportunities such as the science week workshops, give students better opportunities to engage with science, and expose them to ways in which scientists make a difference in the world. Being able to do something like the school workshops is a great starting point and the age group we worked with are just about to make these choices about their school future, so it’s a perfect time to hopefully get them thinking about science as a subject. It was great to see feedback from the students and read that many of them felt better informed about science as a career thanks to the activities and opportunities to chat with PHE staff. The week also meant that PHE as an organisation was able to directly promote the vast work we do, and this sort of awareness is important. While many had never heard of us before, it’s important to inform young people that jobs in organisations such as PHE can mean you are scientist but you won’t necessarily work in a lab. Looking into a microscope is something a lot of students assumed! The practical activities and enthusiasm shown for experiments and demonstrations hopefully gave the students food for thought about what they could go on to do in the future. It was fantastic to have so many different specialisms represented and I hope that through work such as this, we can inspire a new wave of future scientists. To excel in a career path you need to have the opportunity to train. I believe scientists of all levels should find some time to assist in developing others and helping young, aspirational scientists to grow and find their place in the working world. Learn more about British Science Week here.